Judith Kolberg founded FileHeads, a professional organizing company, in 1989 and has been a member of the National Association of Professional Organizers (NAPO) since 1990. She formed the Institute for Challenging Disorganization and has served as its director for seven years. 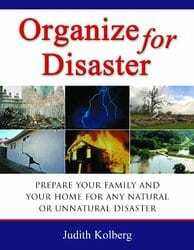 Judith is the author of Conquering Chronic Disorganization , co-author with Dr. Kathleen Nadeau of ADD-Friendly Ways to Organize Your Life, and Organize for Disaster: Prepare Your Family and Your Home for Any Natural or Unnatural Disaster and Getting Organized in the Era of Endless. Hoarding disorder has been included in the new version of the Diagnostic and Statistical Manual for Mental Disorders. How has your expertise in working with clients with hoarding disorder influenced your ideas about mental wellness? I love that you use the term ‘mental wellness’ instead of ‘mental illness’. As an organizer, I’m convinced that good psychotherapy is essential to the mental wellness of a person who hoards. A safe place to talk about what kind of life one wants to lead, how the emotional issues of loss, trauma and grief interplay with excessive saving and acquisition, and handling stress are key. Psychotherapy via Skype, online individual and group, on-site, and peer-led support would be real handy in many hoarding situations rather than a clinical, office setting. what is one common motivation obstacle and a strategy for overcoming it? An obstacle to motivation is the fear of discarding the person’s possessions to the landfill. Reassurance that this will not be so is essential, but the age-old issue is will this promise backfire. Will the people charged with sorting and discarding and reducing the hoard be thwarted by “You said my stuff would not be thrown out.” If the person who hoards sees that there are good “pickers”, organizers who take the time to pull out the “good stuff” and load it into lots of clear, labelled containers that helps. Specific individual recipient for the excess stuff also helps, like all the shoes go to my brother in law. Specific charities also helps – all the stuffed animals to the Red Cross for children of natural disasters, all the pet stuff to the pet shelter, all the unused toiletries to the women’s shelter. I take the time to discuss my entire process to the family. 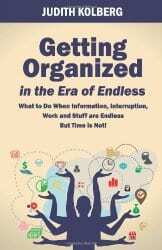 strategies to help people with ADD and ADHD get better organized. In what ways have those strategies changed from when you started studying in this field to now? The “how” has not changed much even though the “why” is better and better understood. I would say that providing strategies to cope with technology, devices, the Internet black hole, and digital distractions is the new frontier. Ironically, helping ADDers to use these very same things to their advantage is also new. For those that are especially challenged with ADD, what 2 strategies are most effective? We got to get better, as organizers, on helping people with ADD manage their tasks and time. One strategy is for the organizer to be the time estimator. It’s great if that skill can be transferred and it often can by example, but there is no harm in the organizer actually being the person who helps the ADD client estimate how long a project or a task will take and accounting for it in scheduling. Another strategy is to think of creative ways for a person with ADD to capture tasks on the run. That might be post it notes, voice mail notes, texting oneself, sending yourself emails, using apps that convert voice to text or text to voice. 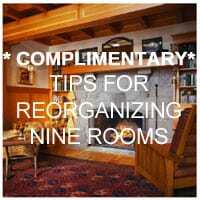 What has been your biggest personal challenge around chronic disorganization? My disorganization centered on directions, getting from place A to place B without getting lost. I use voice GPS and that has been absolutely dreamy. I’m told directionality issues are part of my brand of dyslexia. Lots of little spatial challenges thwart me. I can’t for instance, look at my power point, advance the slides, and speak at the same time. I have to use index cards, even after all these years. 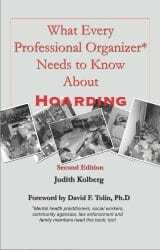 Judith Kolberg has written many valuable resources and more resources can be found on the website for the Institute for Chronic Disorganization. 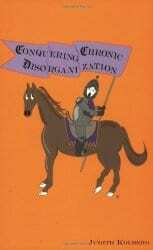 What is the most difficult problem you have encountered helping someone who is chronically disorganized? Let us know so we can help. What a great interview! 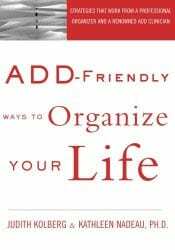 I’ve admired Judith Kolberg’s work for a long time, and appreciate the opportunity to learn more about her approach to helping people who are challenged by disorganization. She is a very friendly approachable person. She also has a great sense of humour. I heard her presentation on Digital Estate Planning and for people with lots of accounts on many website making a plan on how and who will have all the passwords to close all those accounts is a very good idea.